While the stars seem to smile with delight. How sad and unhappy I am! Oh! Shamus O'Brien, why don't you come home? And forever be happy with me! I'll smile when you smile, and I'll weep when you weep. Like a bird that was caged and is free!- Chorus. That love for another you'd find? 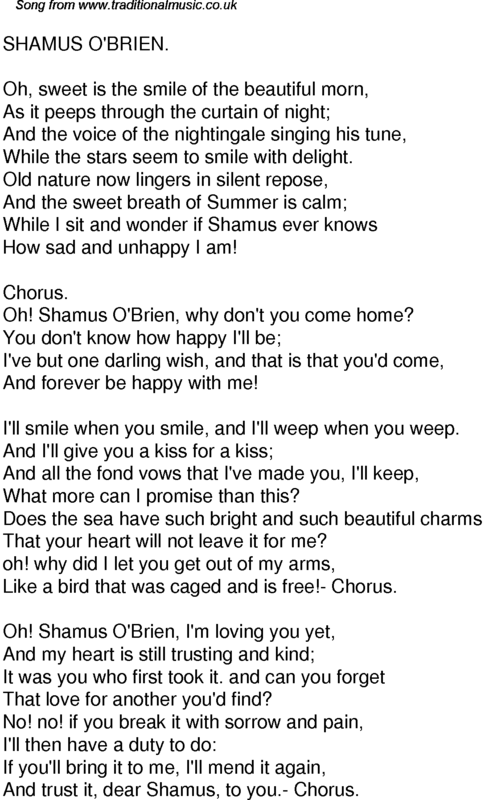 And trust it, dear Shamus, to you.- Chorus.